TThere is no denying that whether you are a band, singer or an individual musician, you need the help of other people to have a successful music career. It doesn’t matter if you can play every instrument, sing all of the vocal parts and make great recordings all by yourself in your own studio. You still need fans to buy your music, people to book you, people to show up at your gigs, and maybe people to help with the business and legal sides of your business. Meeting someone in person trumps all other connections. Nothing compares to being able to look someone in the eye when you’re talking to them. You can learn a lot from a firm handshake, a person’s attire, his or her professionalism, his or her mannerisms and experiencing a personal chemistry. Always be in networking mode. Be prepared to meet people who might be able to help you everywhere you go. You never know who you are going to meet or who they might know. Also, be aware that many times influential people won’t reveal who they really are until after they have gotten to know you. I know one person who got major label cuts because they sat next to the grandmother of someone in the band in a diner! Show Up. Put yourself in a position where you are always meeting people who might be influential in your career. Go to music industry networking events, join industry organizations, eat at the restaurants they eat at. Go to jam sessions, showcases and songwriter nights. Put yourself in the way of opportunity! You never know when you will have the chance to meet and/or help someone who can also help you, either now or down the road. No Gherming: Gherming is the Nashville term for seeing someone influential and throwing your CD or song demo in their face. There is a time and a place when politely asking if someone would be willing to listen to your music is appropriate. In an office, at a convention or at an industry networking event are examples of places that are appropriate. Interrupting someone while they are in a social setting such as a restaurant is usually not. Respect people’s privacy. Niche market your networking. Whenever possible, go to where the people you want to meet congregate. 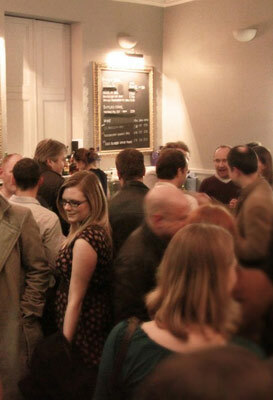 For example, you can meet people from all aspects of the music industry at Indie Connect meetings. You can meet potential co-writers and publishers at NSAI or other songwriter group meetings. You can meet college buyers at a NACA convention, and fair directors at one of the many fair conventions around the country. Give before you receive. Also ask how you can help the other person before asking for anything for yourself. Have a ‘servant’s heart.’ It immediately erases any thoughts that you care only about yourself. Tell your prospect exactly how you can help them. If you know that you can help someone, let him or her know. Make that all-important connection for them (if appropriate and if you are comfortable with it), give them accurate advice, tell them about helpful books or online resources etc. If you can help them in the future, offer that as well. You will get a reputation as a giver. Professionally ask for what you really need. If you have offered to help the other person first, chances are they will want to help you. Be honest, realistic and specific. ‘I just need a big break’ is not specific. “I am good at writing melodies, but I need to meet a strong lyricist to co-write with’ is much more specific and realistic. You can still be professional and not come across as greedy. Everyone loves to help. Give them the chance to feel good by helping you. Follow-up. Whenever you meet someone new, it is always good to follow up with at least an ‘It was nice to meet you’ email. Also, when someone refers you to someone else, be sure to follow up on that lead within 72 hours. It makes you look more professional, and you’ll be fresh on the mind of the person who made the introduction. Follow up with recognition for introductions. If someone refers you to someone else, be sure to thank them, thank them again in an email or with a personal thank-you note. Always carry business cards. Always! Did I mention ALWAYS? Not having business cards (professional looking ones) screams ‘I am an amateur’. Ask for referrals. Don’t be afraid to ask for specific referrals. If you know names, and you believe that the person who you just met might be able to connect you with them, go ahead and ask. However, here are the keys. 1) Don’t be pushy. 2) Don’t put the person who you are talking to in an awkward position. Tell them that you know that they rightfully guard their relationships and the privacy of their contacts, and you would never want to do anything to compromise them. Then ask them what they would need from you before they would make such a key referral. Save business cards and contact information. Be sure to keep all of your contacts organized. You never know when you’ll either need someone’s help that you met years ago, or finally have a good contact for that person years after you met. It’s also good to have this information when someone asks you for a referral and you know exactly who to send them to. Keep your promises! If you say you are going to call someone, do it. If you say you will make an introduction for them, do it. If you say you’ll meet someone at a specific time, be there. Do everything in a timely manner. Get the reputation as a man (or woman) of your word. People will be much more inclined to help you if they know you are professional and can be trusted. Be generous with your leads. Whenever possible, be open with your referrals. Of course, you should only do this when you feel 100% confident that you will not be wasting your connection’s time or jeopardizing your relationship with them. In other words, you probably shouldn’t introduce a mediocre songwriter to a top publisher. The more you help others, the more people will rally around you when you need help. Make personal introductions. If you have a connection for someone, take the time to make a personal introduction either by phone or email. The reason is that you are telling both parties that you ‘sanctioned’ the introduction. Nowadays many people lie and say ‘____ told me to call’ just to get past the gatekeepers, even though that referral was never really made. Reward good introductions. If someone introduces you to a contact that turns out to be a profitable or beneficial connection for you, reward him. This reward might be as small as a thank-you note, a gift basket, a gift certificate to a nice restaurant, or as large as a percentage of the income that resulted from the lead. Be fair. Once again, people will do everything they can to help you if they know that you are grateful. Find the centers of influence. Influential people often get that way because they are masters at networking. At any networking event or party they will be the one with the most people around them. Get to know them. They can lead you to a lot of other people who might be important to your career. Reinforce your brand. Whether you are attending a formal business networking events, a conference or just going to meet someone for coffee, present your brand as much as possible. Maybe you have a polo shirt with your band logo on it that looks appropriate. Maybe you are carrying a computer case with your logo on it. Make your logo your screensaver as well. Of course, I am not saying that you should walk around in a stage costume. You just simply want to put your brand in front of as many people as possible. It will also spark some people to talk to you because they know your brand, even if they have never met you personally. Initiate conversation. Get comfortable enough with talking to people that you can always take the initiative to begin the conversation. This serves 3 key purposes. 1) You can put the other person at ease right away with a warm greeting; 2) You get the reputation as a man or woman of action, and, 3) You meet more people! Complimenting someone on something they are wearing is a great way to get the conversation started. You may have a particular comment that you use as an icebreaker. I love to walk up to people and say ‘You look like someone important that I should know!” They can’t help but chuckle and introduce themselves! Approach people who are shy or are standing alone. If you are at a formal conference or networking event, don’t ignore the people who are sitting, eating or standing alone. They might be shy but can still be extremely important to your career. Not everyone with influence is comfortable at these events. If you make them comfortable, they will open up and help you in every way that they can. Never eat alone! When you are at a networking event, never eat by yourself. This defeats the purpose of being there in the first place! Sit next to someone or with people you don’t know and introduce yourself. You never know where it will lead. Read more great tips on networking in the original Vinny Ribas‘ article at this location!